In yesterday's post I shared a critical designation, and strategic sales decision, that must be made early in the sales process. Are you making a "status quo" sale, or a "change" sale? Now I'd like to share part 2 - the implication of each sale and how to tell the difference. In many ways, a status quo sale is easier than a change sale. But, as with anything, "ease" has its trade-offs. Status quo sales are far more susceptible to competition, commoditization, and price/margin pressure. It's very hard to stand out when making a status quo sale, so the sales/marketing focus is much more tactical, with the tactics shifting frequently. Change sales are harder to make, if for no other reason than change is involved. The upside is that they can have greater impact to the buying organization. Selling organizations that master change sales are able to avoid commoditization by bypassing the competitive environment and becoming a true resource to their prospects/customers - as I've written before - they've made The Shift from selling to stuff to selling results. The danger here is that sellers frequently attempt to make change sales to people in the buying organization who worry about the present or past. This is just as damaging as when companies try to sell total value propositions to fundamental value buyers. 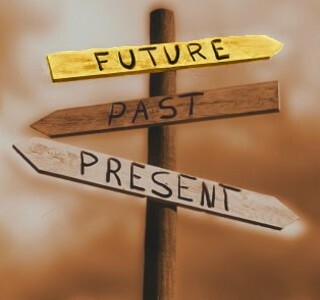 In a typical business organization 80-90% of the people are responsible for the present or past. If they're who you are counting on to drive the sale, then you need to be making a status quo sale. Only 10 - 20% of people in a company are responsible for managing and allocating resources to address what could be happening. They should be the focus of your sales efforts if you are making a strategic, change sale. Listen to them. If they spend most of their time talking about what could be, they're future oriented. If they spend time talking about what is or was, they're status quo. Look at their resource allocation authority. Do they allocate resources to deal with future possibilities or present-day realities? Going forward spend a little extra time to make sure you are aligning your selling proposition to your buyer's time frame.